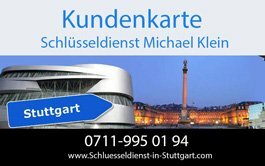 Quickinfo - We speak english and help you at once | Schlüsseldienst Michael Klein e. K.
• Your door is locked and you are out ? • You lost or left your keys inside and the door is locked ? • You have any problems with your lockcylinder ? • You will change your lockcylinder ? • Your lockcylinder is damaged ? • Your key is broken and inside the lockcylinder ? • Your car is closed and your key is inside and you have no other one ? • Your car is closed and your key is inside the starter lock ? We will help you in your emergency situation ! Please call us we are reliably ! We’ll open your door quickly, respectablly and without destruction, as far as possible !